Environmental impact not taken seriously | What Car? Motorists don't believe car makers are tackling the environmental impact of driving, according to a new survey. Of the 1000 drivers questioned in the poll for the Good Business consultancy, 61% thought that the industry did not take the impact of cars on the environment seriously. 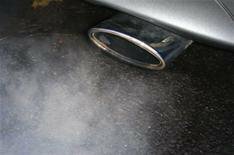 However, that goes against what the car industry says it has done to reduce its harmful effect on the environment.